What the hell did we all do without IMDb? Like, SRSLY? Did we have to actually remember what movies people had been in before? Did we all have a really geeky mate we only hung out with because he could reel off the name of directors and the projects they’d worked on? It just doesn’t bear thinking about, does it? Well now our favourite website and application is being beefed up with the help of Amazon, because soon you’ll be able to go from reading all about a film to watching it with a number of Amazon Instant Video links alongside them within the iOS app. Any of the movies listed on IMDb that are also on Amazon Prime will have watchable links alongside them, providing users with a seamless experience between the movie database and the Amazon Instant Video app. 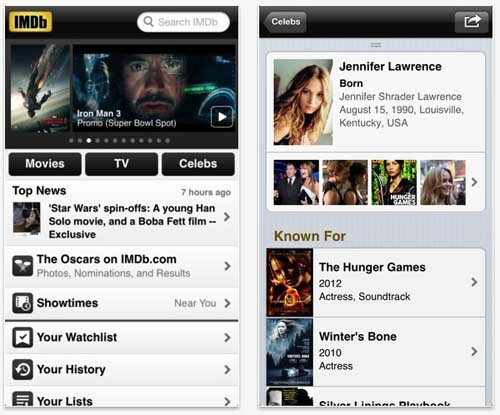 IMDb app from iTunes for free.